CLOSE CONTENDERS: As Barry Allen straps on his boots, Ethan Van Scivers Flash Rebirth #1 cover sees DC plays on the Flash iconography, by shifting the logo down below the point visible on some magazine stands. Over on Detective Comics #855 J.H Williams lll shows while you while you may have read a few 'bat books' in your time, you ain't never seen one as hot as this. This is how you herald a bold new start. 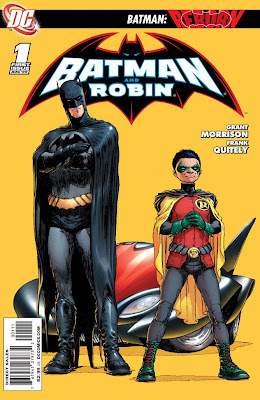 Frank Quitely is one of the modern day masters, and with this cover he gave readers all they needed to know about the new 'Batman and Robin' in one go.